The Soundbrenner Core is a handy four-in-one companion device for musicians. 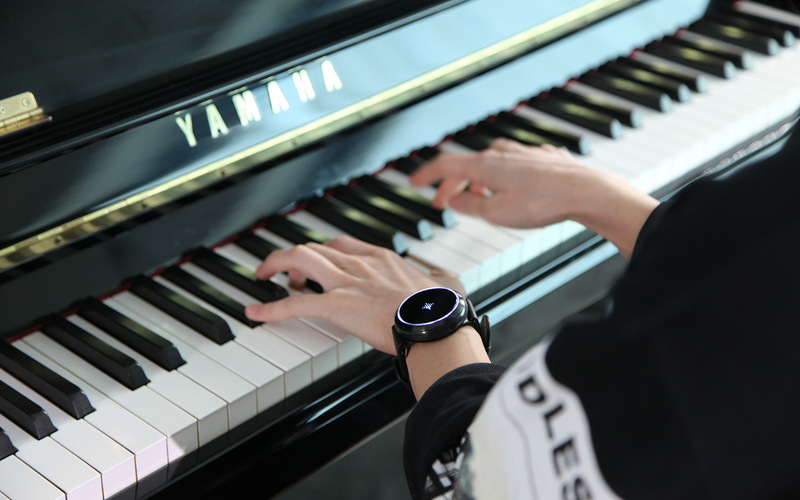 Soundbrenner is far from a household name in the music industry, but having apparently sold over 50,000 Pulse wearable metronomes with endorsement from notable musicians, this Hong Kong startup isn't doing so bad. Today, the company hopes to make a bigger bang with a follow-up model. Using the original Pulse as the foundation, the new Soundbrenner Core adds three functionalities in the hopes of making life easier for musicians: It's also a watch, a tuner and a sound level meter. "We see ourselves as one of the few players in the music-making space... that solve real problems," said Soundbrenner CEO Florian Simmendinger. "Our goal is to create a must-have companion device for musicians, from beginners all the way to professionals." Much like its predecessor, the Core continues to serve as a silent but powerful vibrating metronome that can be worn on your wrist, arm, ankle, chest or even back. To get the beat going, simply set the tempo with four taps on the surface, and then you can make adjustments later on by twisting the outer LED ring. What's changed here is that when in setlist mode, you can directly switch between songs by twisting the ring, which is more convenient than having to turn on the app first as required for the Pulse. Also new is the rhythm coach feature, which is an exercise where you have to replicate a beat by tapping, and obviously the higher the score, the better. This seems like a fun way to kill time while commuting. Like before, you can sync up to five devices to ensure your bandmates are on the same page, not to mention the cool synchronized light pulses as a bonus. Setting up is simple: Just tap one unit with another for instant NFC pairing. You can also have a mix of Cores and Pulses, but you'll have to hook them up via Soundbrenner's The Metronome app. If needed, you can even connect up to ten of these via Ableton Link. The most noticeable addition on the Core is perhaps the watch functionality. This is certainly no true smartwatch: You only get two OLED strips for showing the time, date, weekday and simple push notifications (for just calls and text messages) in watch mode; but when you start jamming, the top strip displays the BPM, time signature and subdivision, while the bottom one shows the accent. The entire surface is otherwise just the same old capacitive touch area for tapping your desired tempo. The OLED displays also play a role in the Core's two other features: Sound level meter and magnetic twist tuner. For the former, the Core offers a real-time decibel display while monitoring surrounding sounds using its internal MEMS microphones, and this is backed up by LED plus vibration alerts when noise level hits the limit -- that's when you should put on the included ear plugs. The tuner part -- designed for use with the likes of guitar, bass guitar, violin and ukelele -- is a little more cunning. 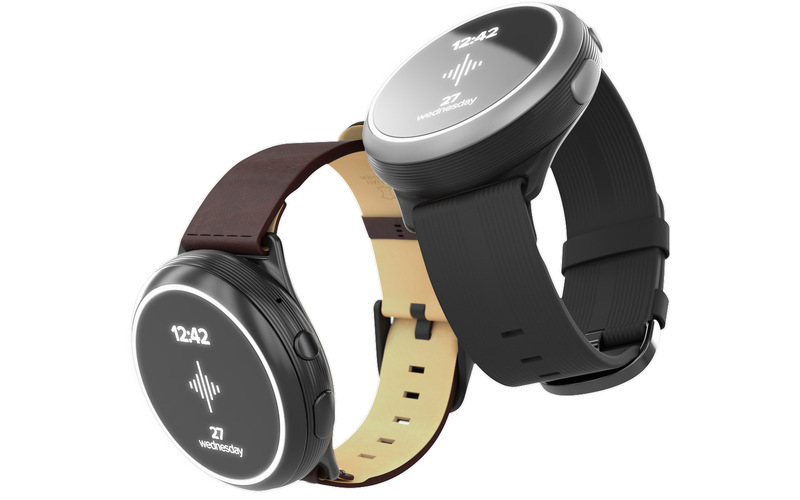 You can actually twist the entire watch body off the magnetic base, and attach the magnetic port on the right to any of the tuning pegs on your instrument (failing that, there's a magnetic attachment pad in the bundle for this purpose), so that the internal piezoelectric microphone can accurately pick up your instrument's sound -- even in a noisy environment, supposedly. You can then check the note on the top OLED screen, and set your desired pitch frequency via the outer ring. Since the Core is designed partly as a timepiece, Soundbrenner has thankfully moved away from the old bulky design in favor of something more fashionable. In fact, the Core comes in two flavors: The $329 Core Steel consists of a stainless steel body plus ring, and it comes with a detachable Italian leather strap; whereas the $229 Core has a polycarbonate glass fiber composite body, an aluminum ring and a detachable silicone strap. Both variants share the same core specs: 45.5mm diameter, mineral glass screen, three-day battery life and IP66 splash-proof rating. Given the seeming success Soundbrenner has achieved since the launch of the Pulse (which now retails for $99, by the way), it's a little odd for this startup to go the same old Kickstarter route for its second-gen product. For Simmendinger, though, this "takes all the stress out of" initial funding (especially for tooling), and he still regards this platform as a great validation mechanism before his product eventually hits retail. And of course, this is also great for backers given the 40-percent early-bird discounts -- some of which are already gone at the time of writing. For those who are biting, you can expect shipment by March 2019.